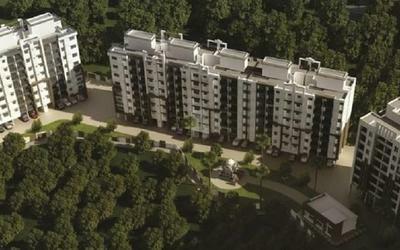 Aadinath Developers believe in providing well planned and meticulous work to its clients. The developments by this group is a conclusion of hard work by the team of experienced architects and consultants that create alluring developments by the lush green landscapes, which give the residents the freshness of the surroundings with well ventilated and full of natural light in the apartments. The group is concerned with the future of our world and hence consider it very important to preserve and prevent spoiling the nature and create the projects accordingly, by protecting the natural aspects of the residential space. The architects put many efforts in planning the projects and deliver you the best ones which are nature-friendly. The developments by Aadinath Developers include Adinath Prem Nagri located in Atgaon, Mumbai and offers ready to occupy 1RK and 1BHK flats in Mumbai as well as 2BHK flats for sale in Atgaon, Mumbai. Adinath Manas Hills is an upcoming project is Vasind, Mumbai which offers 1RK, 1BHK & 2BHK flats for sale in Vasind Mumbai. The upcoming development Aadinath Millionist 14 in Dadar, Mumbai is one of their best development and is going to be available soon, which will offer 2.5BHK & 3BHK flats for sale in Dadar, Mumbai. Aadinath Development has constantly provided the best for the industry and has always kept the promise, by which they have created a platform which has the pillars of efficiency, meticulous planning, and trust.